The past few months have seen the communities of Stoneybatter come together in preparation for the Pride of Place competition. The whole area has been lifted as shops are freshly painted, colourful flowerbeds are put everywhere and people turn out en masse to pick up litter and clean up the local streets. Community satisfaction and, yes, pride of place is evident as you walk through the area or pause to greet someone. For the Grangegorman Development Agency, the Grangegorman area is statutorily defined by the GDA Act 2005 and covers a much larger area than what’s marked on a map as “Grangegorman”. It encompasses numerous communities like Stoneybatter that are not defined merely by geography but by the definitive character each neighbourhood possesses, each weaving into the greater fabric of the Grangegorman area and Dublin city. So what’s in a place? In essence, what makes a place is people. How they use and connect with a place defines its character and is always developing. The Grangegorman area is rich with a variety of cultures, ages, businesses, artisans, foodies, educators, and many others. It is a place with a long history and deep cultural roots. Many of the street names reflect this with eponyms such as Oxmantown Road, Orchard Terrace and Collins Barracks hinting at the Viking, agricultural and military histories of the area. 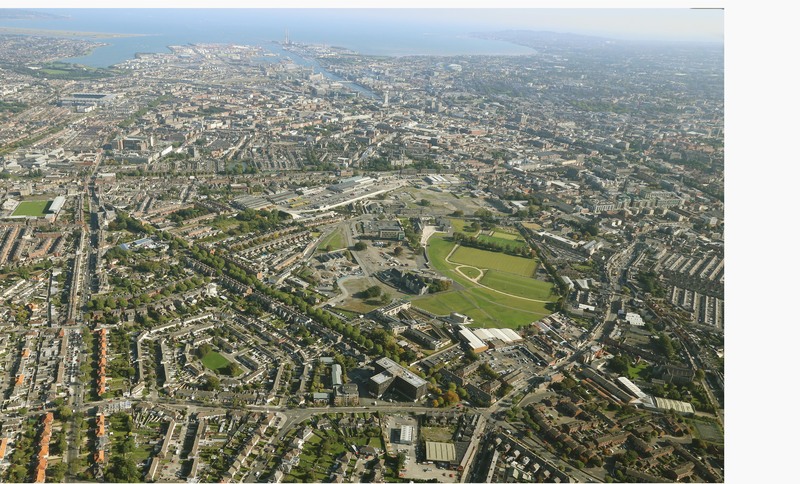 The Grangegorman site itself has played an influential role in shaping its neighbourhood, from the farmlands that served the Christchurch priory to the 19th century array of institutional healthcare uses that brings us to the present day site development of the new urban quarter. Grangegorman, from its origins as a manor house and orchards around which the village of Stoneybatter grew, has always had an extremely influential role in shaping its surrounding area. The opening up of the Grangegorman site is creating and re-establishing connections with its surrounding communities. This further develops a sense of placemaking in the neighbourhood. For the first time in over a century, the lands at Broadstone and Kings Inns will have a direct physical link to Stoneybatter and beyond, without the circulatory route that currently exists. The Masterplan vision for the site not only aims to develop this link and create its own new sense of place, but also aims to enhance and expand this into the neighbouring communities. 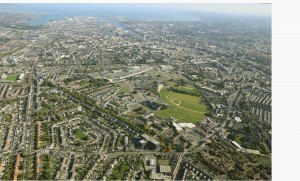 The Grangegorman area has seen an increase in people moving here over the last number of years. As a result of this, the area has seen a rise in local festivals and events as well as increased participation in city wide happenings. New festivals/events are also popping up, with events like the Smithfield/Stoneybatter Food Festival having just had a successful second year. All of this strengthens the sense of place-making as these activities not only attract diverse groups of people to the area but also give great reasons to stay here. They create stories, histories and shared community. The provision of public spaces such as the Grangegorman campus and Smithfield Square encourage the development of such community initiatives which in turn leads to an increased sense of place. Expanding on the earlier statement of place; people are essential to make an area a place, but connections – both social and physical – are what define it as one. The Grangegorman site from its earliest conception has, as mentioned, had a huge influence on its surrounding area. Today, we can say with reasonable certainty that there isn’t much the Grangegorman area hasn’t been a part of. From historic Cowtown, pioneering institutions, Dublin folktales, and even the scene of a Spice Girls music video, the area has definitely left its mark on the city. Next time you’re taking a walk or run through the area, look closer at the names, spaces and buildings around and ask yourself, what makes this a place for you? Share your views and images on social media on our Facebook page or under #grangegorman.